Titanium Grade 2 Plate, ASTM B265 Gr2 Plates, Grade 2 Titanium Perforated Plate, Titanium Grade 2 ASTM B348 Plates, Titanium Grade 2 UNS R50250 Plates, Titanium Alloy B265 Grade 2 Plates, Grade 2 Titanium Alloy Shim Plates, manufacturer, Suppliers, Exporters, Mumbai, India. 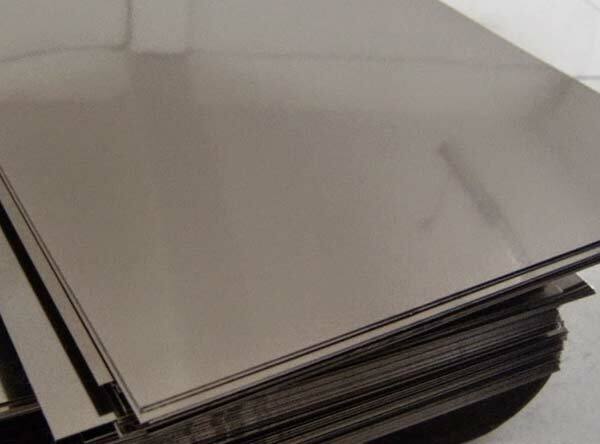 Titanium Grade 2 Plate is the softest titanium with the highest ductility, good cold formability which gives Titanium Grade 2 Plate an excellent resistance from mild to high oxidization. Calico Metal Ind Pvt Ltd is a well known brand in the industries of stainless steel manufacturing, and a leading exporter and supplier of Titanium Grade 2 Plate in the country. The company has an illustrious clientele that increases to market in several countries, and is recognized as an innovator in the market when it comes to their products and finishing excellent quality. Calico Metal Ind Pvt Ltd all-round group of professionals with highly effective background moments and comprehensive experience in manufacturing and managing of Jindal Titanium Grade 2 Plate. The business also has an worldwide level revenue staff that carefully works with customers all over India and worldwide. Titanium Grade 2 Plate has the lowest strength and best formability of the commercially pure grades. In addition it has excellent corrosion resistance in highly oxidising and mildly reducing environments. Grade 2 titanium is the first of four commercially pure titanium grades. It is the softest and most ductile of these grades. It possesses the greatest formability, excellent corrosion resistance and high impact toughness.